Paul Holmes is co-organizer of Social Media Camp, the largest Social Media conference in Canada, and has been speaking to various audiences on topics related to social media since 2009. In March, 2013, Paul and his Social Media Camp co-presenter Chris Burdge were honoured as 10 to Watch winners by Victoria’s top business publication, Douglas Magazine. He is a keen advocate of WordPress, organizing 5 successive WordCamp Victoria events. The 2011 and 2012 events were successively the largest WordCamp ever held in British Columbia. From 2000 to 2011, Paul was President of IdeaZone, a recognized local leader in website design. He sold this business in December, 2011. 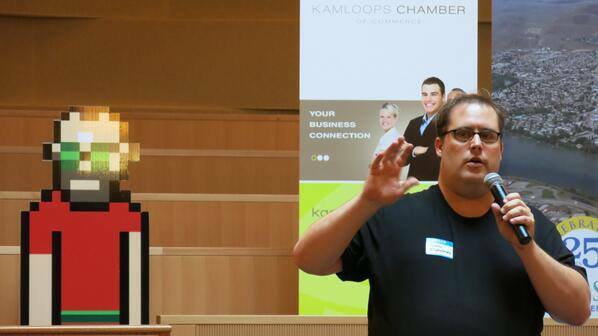 Some of Paul’s Social Media speaking engagements include the Cambie Village Business Association, Association of University Research Parks, UVic Faculty of Business, Greater Victoria Chamber of Commerce, Social Media Camp, Nanaimo Chamber of Commerce, Vancouver Island Real Estate Board, Volunteer Victoria and more.